The project database comes with a complete set of fields of varying data types. When you double-click a column heading or click Insert, Column, the Column Definition dialog box appears. In this dialog box, you can modify a few attributes, such as the title or alignment, for some of these built-in fields. Or you might change the font of the fields that appear in a row for a particular task. However, you cannot change what those fields represent or how they are calculated. For more information about adding fields to tables, see "Using Fields" on page 120. For a complete list of available Microsoft Project fields and their descriptions, see Appendix B, "Field Reference." Microsoft Project provides several custom fields of each type for tasks and additional custom fields of each type for resources. In addition, there are sets of custom outline codes for both tasks and resources. Microsoft Office Project Professional 2003 provides similar sets of enterprise-level custom codes and custom outline codes. 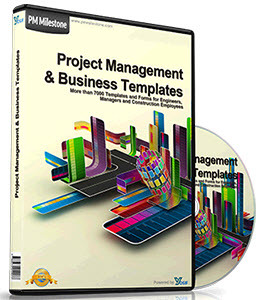 With Project Professional 2003, you can define project-related custom fields in addition to task and resource fields. Caution Even though the Start and Finish fields appear in the Custom Field list, Microsoft Project uses these fields to store the dates for interim baseline plans. If you intend to save interim baselines in your project, don't use the custom Start and Finish fields. Information in those fields will be overwritten when you save an interim baseline Instead, use custom Date fields for your customized dates.